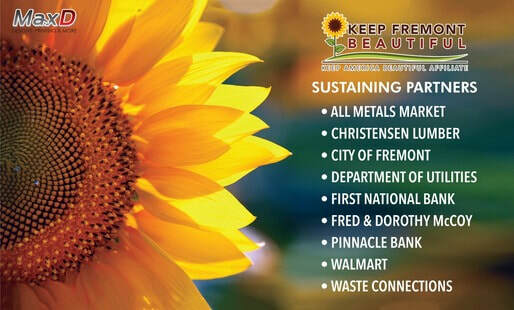 As a 501 (c)(3) non-profit organization, Keep Fremont Beautiful is soliciting community donations from individuals, civic organizations and businesses - anyone may join! Membership contributions support environmental education opportunities such as the KFB Eco-Fair which reaches over 500 local and Fremont area 4th grade students and adults each year. Memberships provide funding for print materials and advertising to help create greater public awareness concerning recycling and proper waste disposal opportunities. Your KFB Partners Association Membership shows community support and provides a cash match when applying for public education grant funds from the Nebraska Department of Environmental Quality. Thank you for considering our request to join the KFB Partners Association!